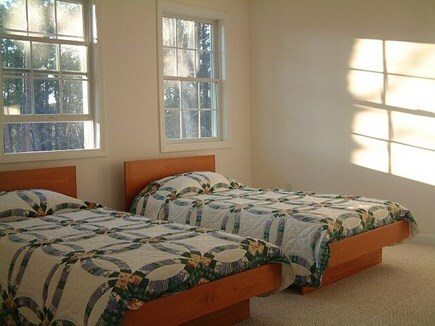 Charming Contemporary on Ocean side, Central Air, Linens ! 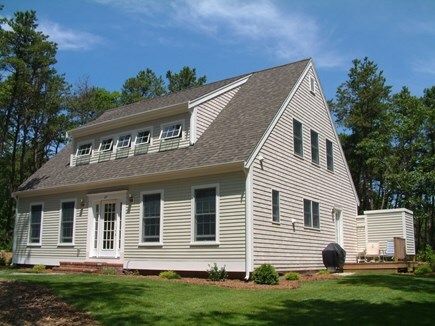 This new contemporary cape-style AIR CONDITIONED 3 bedroom, 2.5 bath home is located on the ocean side of Wellfleet abutting the Cape Cod National Seashore. 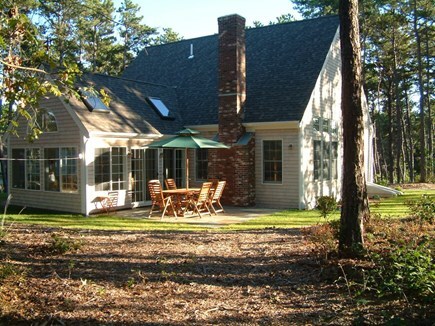 You will be about a mile walk through the National Seashore woods to Duck Pond, about a mile to Great Pond and 5-10 minutes by car or bicycle to the Ocean and Bay beaches. 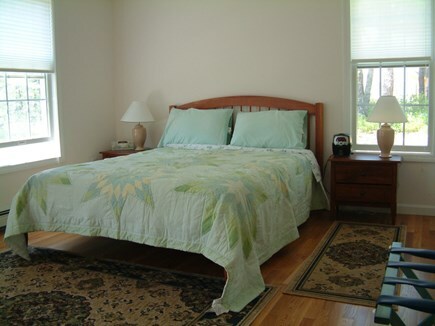 The house is beautifully designed and equipped, and includes a large sunroom and a patio. 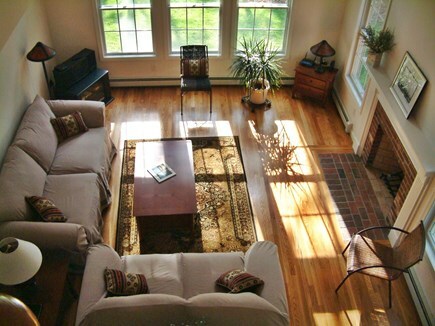 On the first floor are living room, kitchen and dining area, master bedroom with bath, and a half bath with laundry. 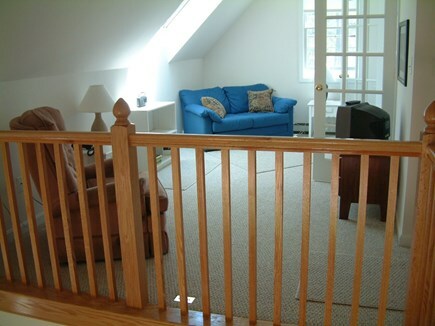 There are 2 more bedrooms on the second floor as well as a bath and a spacious loft overlooking the fireplaced living room. For additional photos and information, visit the owner's web site by visiting the link in the next line below (cut and paste into your browser). This house is extremely family friendly. It is equipped with a large supply of books, movie videos, games, amd puzzles. Wireless Internet. 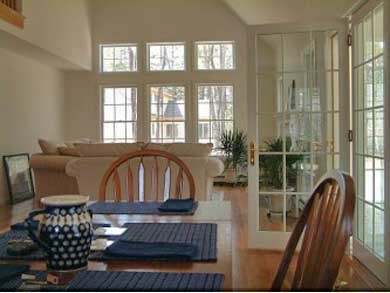 The house is close to beautiful ocean and bay beaches and Wellfleet's popular freshwater ponds. Other activities close by include sailing, National Seashore walking trails, Audubon Society, 30 mile bike trail from Wellfleet to Dennis, live theater (W.H.A.T), fishing, whale-watching out of Provincetown, art galleries in town, lighthouse tours, public golf and tennis, Wellfleet drive-in theater (a unique rarity! ), flea market, shopping and eating in Provincetown, great Wellfleet restaurants. Thank you for sharing your beautiful home with our family and allowing us to have a fantastic summer vacation here at Cape Cod. 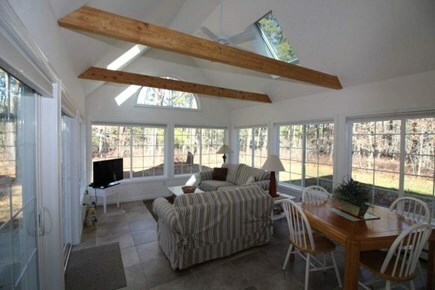 the house was perfect and had everything available for a beach vacation. We'd love to come back again. Ava K--This is a great house. We have been to Cape Cod Three time and this is the best house. 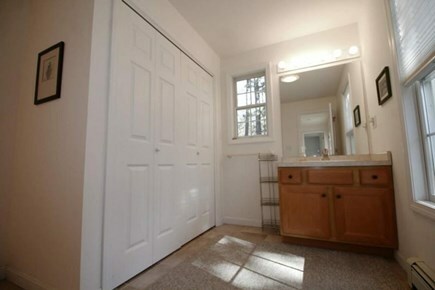 I loved the outdoor shower and the Sunroom. We all had fun looking for seals at the beach, going to the Beachcomber, playing Bocci, and boogie-boarding ! I'm part of the group staying the week of July 23, though (sadly) have to leave a bit early. Of all the places we've stayed at the Cape, this is by far my favorite ! 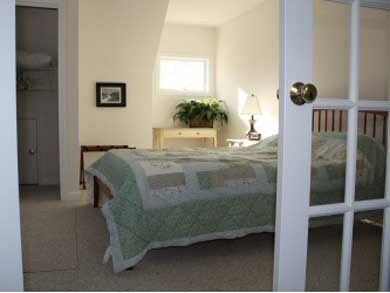 The location is perfect, and the home is warm, bright, and has all the comforts of home. Thank you for everything, and I hope to be back next year ! Thank you so much for making our first visit to Wellfleet a truly memorable one. 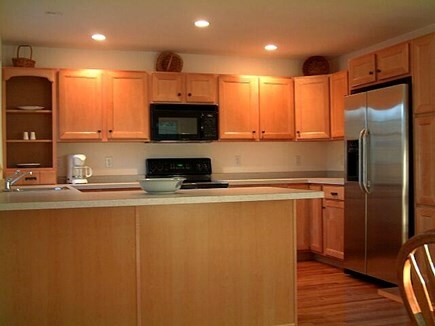 Your house is absolutely beautiful and so well equipped. We loved the kitchen, sunroom and patio. The weather was just as perfect as the accommodations. We look forward to returning. Our family had a wonderful vacation. The house is beautiful and met all our needs. You have equipped the house with everything a young family would need. We will be back. Thank you so much for a fantastic time ! I can't think of a more wonderful way to turn 65 than in your lovely home and on the beautiful beaches of Cape Cod. Now I've been where Thoreau once walked--what a joy ! The first morning I was here, a fox came fright up to the front door ! Your home is set in quietness and solitude--both very important to me (and also to the fox !) Thank you so much, you've helped me gain a peace of mind I really needed. The house and the surroundings were enchanting ! I hope you can find the time to enjoy it yourselves. What a perfect time to visit Cape Cod ! Whale watching was fabulous, and of cour, the home is incredible. We thoroughly enjoyed our stay !